Some folks believe your chances of being struck by lightning increases when you have braces, while other folks believe having braces interferes with romance, and even metal detectors as you try to make your way through the airport for a much-needed vacation. 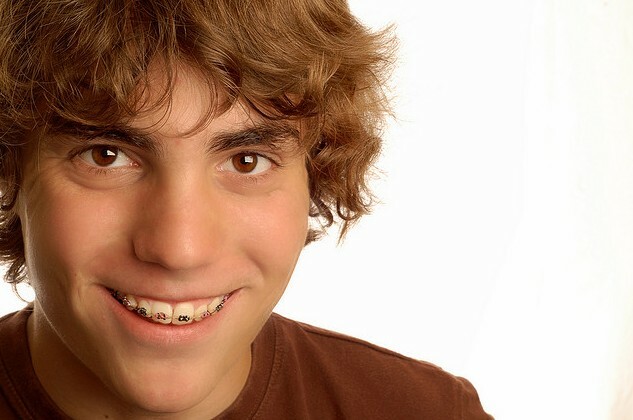 Trust us when we say we know there are quite a few myths about braces out there these days. But before you buy into those myths, we think you should get the facts first! To set the record straight, here is some great information on the myths and facts of orthodontics. We encourage you to check them out today! If you have any questions about braces or your orthodontic treatment, please feel free to give us a call or ask us on Facebook! Smile bright! Proper mouth protection is recommended when you participate in any sports activities. If you wear braces, this protection becomes essential. Injuries to your mouth can not only damage your teeth, but your braces could break and cut open your lip. The custom fitting of a mouthguard ensures you of better protection and a comfortable fit. Custom guards are also built in layers for durability. 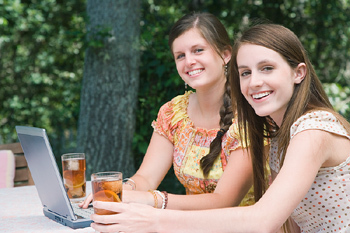 The American Dental Association recommends custom guards for orthodontic patients. Your mouthguard will be designed to provide proper protection for both your teeth and your braces. Our office will be glad to answer any questions you have so you can continue the activities you enjoy with little concern. If you do suffer any injuries to your mouth or braces during sporting activities, please contact us immediately. The sooner we can care for your mouth, the better the results will be. While braces play an important part in helping to create a healthy mouth and teeth, you might experience a few side effects while wearing them that are common and can be easily treated. Even with the best of care, braces can cause soreness to your mouth. As your teeth begin to move, it is natural for your teeth to feel aches and your jaw to develop soreness. If there are broken wires or loose bands on your braces, a sore tongue, mouth, or canker sore will occur. Canker sores are a common occurrence when braces rub inside the mouth. There are ointments available to reduce the pain and irritation associated with mouth sores. If you experience a sore mouth or any of the following problems, call our office to schedule an appointment. · Loose brackets: Apply a small amount of orthodontic wax to the bracket temporarily. You might also apply a little between the braces and the soft tissue of your mouth. · Loose bands: These must be secured in place by our dentist. Try to save the band for repair. · Protruding or broken wires: The eraser end of a pencil can be used to move the wire carefully to a less painful spot. If you are unable to move it, apply orthodontic wax to the tip. If a mouth sore develops, rinse with warm salt water or antiseptic rinse. · Loose spacers: These will need to be repositioned and sometimes replaced. You want to place your toothbrush at a 45-degree angle against the gums in order to clean the whole tooth, and brush gently in the area between the wiring and the teeth. Use a softer toothbrush with fluoride paste for best results. Rinsing every day will help, too. Rinsing is important regardless, but especially important when you have braces as you need to disinfect the entire mouth, including those spots under the braces where your brush can’t always reach. It’s important to keep your routine appointments with your dentist and dental hygienist for a thorough cleaning twice a year or as directed. The exact frequency of these visits will be up to your dentist as some types of braces are more demanding of a regular cleaning than others. •	Archwire — This is the main part of the braces. It is a wire guide that tracks the teeth. The wire may be moved from time to time during treatment to continue straightening a patient’s teeth.